Over the years I’ve studied a wide variety of spiritual traditions; nature-based ‘pagan’ as well as ‘major world religions’. As an infant I was baptized in the United Church of Canada; and in The Metropolitan Community Church of Toronto as a young adult. The first is a mainstream Canadian denomination that has a strong track record of acceptance. 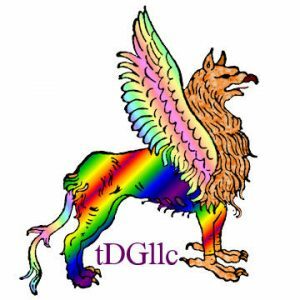 MCC was founded in 1968 “to provide a Christian sanctuary for LGBT people” and is now “an international denomination committed to radical inclusivity in all areas.” My early Ministry in Toronto was most visible as a Sister of the Toronto Order of Perpetual Indulgence. I now identify as a non-theistic spiritual humanist. I recognize gods as allegorical representations of a spiritual reality that is neither quantifiable by, nor reducible to, a modern scientific approach. I have been openly gay/queer for over 40 years; coming out as gay in 1978 and self-identifying as queer for almost two decades. Introduced to the Tarot by my partner in 1980, together with our roommate we studied cards, astrology, numerology and other divination tools. The cards spoke to me the most strongly; although I’m versed in astrological and numerology symbolism. Kabbalah, tea leaves, runes, I Ching and other forms do not resonate as deeply with me. I’ve used Tarot Cards for self-reflection, and offered readings to friends and neighbours, for almost 40 years. About 15 years ago I added a few decks based on North American indigenous spiritual traditions. While visiting old friends back in Toronto in 2018, I was gifted 3 decks designed by Doreen Virtue. Many such oracle decks are created around a specific subject or theme. This makes them great for a focused reading. They may also be used to bring focus to a tarot reading; tarot’s 78 cards cover a lot of ground. I was born in Toronto about 60 years ago- the third of four children. We are at least the third generation of a cross-border family. Our Mom was born in the USA (her Mother was from Canada and her father from the US) but moved to Canada to marry her first husband. Dad was born in Canada; his father was from Ireland while his Mom was born in Canada but raised by a relative in upstate New York. Mom’s older brother was born in Canada but moved to the USA to join the USAF during WW II and raised two families (at different times) in the US. My brother (and family) now lives and works in the USA while our two sisters (and families) continue to live in south-western Ontario. I bring decades of experience in commercial and retail sales, marketing, management and systems. I entered the retail workforce right out of Secondary School, working at an independent camera store in a nearby small city. Returning to Toronto I took college courses in Business Management and moved off the shop floor to positions in Marketing and Purchasing. Much of that time was working within the Commercial & Fine Art Supplies industry. I moved to Columbus, OH in 1996; starting a 12 year career selling Office Supplies & Services. Since then I’ve worked in a wide variety of positions. More recently I completed two certificates at Columbus State College with an emphasis on digital photography and design. In addition to working various full-time jobs since leaving school, I’ve been producing photographic images for 40 years. My first assignment was for the high school yearbook. My photography is available on apparel & gift items, and as frame-able prints. I operate a number of web-sites and on-line shops; my on-line history goes back to CompuServe, Freenets and 2400 baud modems. In fact, Dad introduced me to ‘puters by letting me write code (in ‘basic’) for the IBM-5150. I’ve published a chapbook of poetry & poetic prose I wrote while still living in Toronto, as well as the creative writings of two others. Additional books from Digital Gryphon Publishing include some of my photography and design work. I have been producing photographic images for over 40 years; my first assignment was for my high school yearbook. Currently my photography and graphic designs are available on apparel & gift items through authorized Production Partners. Selected pieces are available on canvas, acrylic, metal, wood or fine art papers at my Fine Art America galleries. I sometimes use decks that are based on North American aboriginal spiritual traditions. These decks have been designed by artists of Lakota, Iroquois, Cherokee and Choctaw descent. I make no claim to have been trained or raised within those traditions and do not identify as a ‘shaman’ or ‘medicine man’. I do not represent or ‘speak for’ those traditions beyond the cards’ artwork and published traditions of the First Nations that inspires some of my own practices. I can not totally remove my Anglo-Saxon heritage or my ‘modern western’ cultural upbringing from readings.